Given the precise nature of coating thickness meaurement, it is important to take care when conducting readings. Using a gauge in accordance with the instructions in its manual will support accuracy and consistency of results. The below tips are not a substitute for reading your gauge’s manual and should be considered in conjunction with that. Stable placement of the gauge probe/sensor is critical in achieving accurate and consistent measurements. 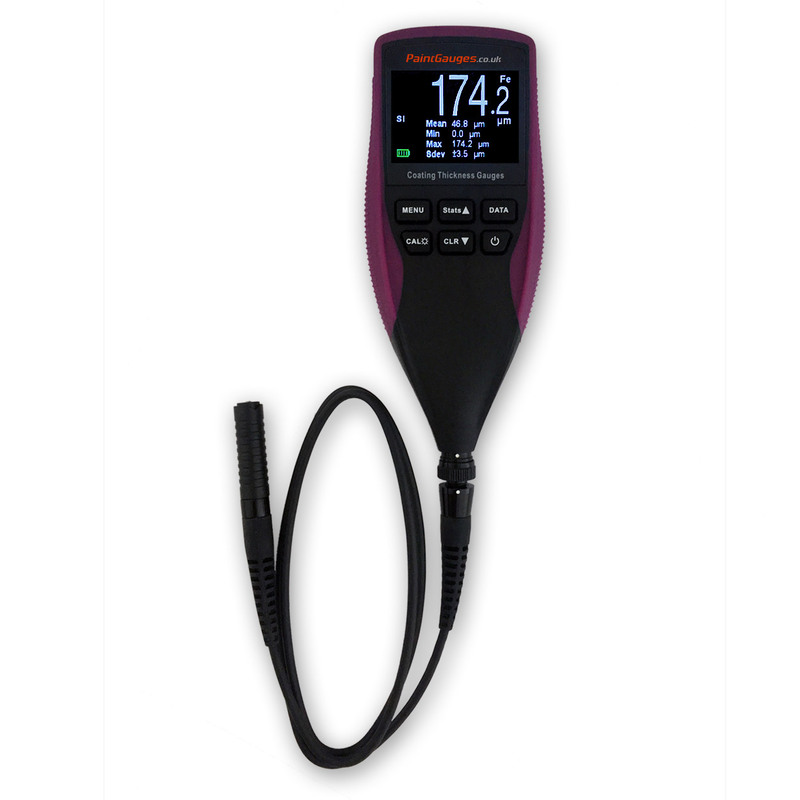 On gauges with an integrated probe (such as our FN Pro, FN Plus, FN Evo, and 156 USB coating thickness gauges) this means holding the gauge in a stable manner. On gauges with a cabled probe, such as the FN CM, this means holding the sensor probe itself in a stable manner. Typically there are ridged finger and thumb grips on the lower part of the probe indicating the recommended position for holding of the gauge. 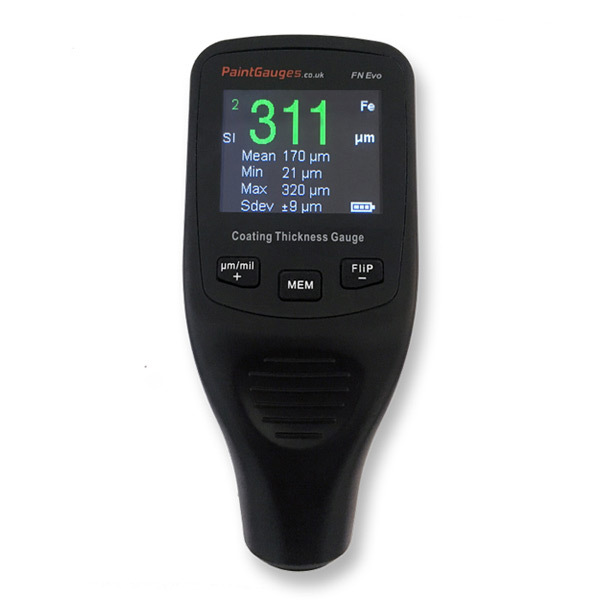 These gauges can be held between a thumb and forefinger (or first two fingers) when taking readings. The 156 USB casing differs, with rubberised fingergrips on the sides of the device. Holding a gauge with a whole hand or in a fist grip may result in less stability or inconsistent probe placement. When taking a reading, it is essential that the probe sensor is flat against the substrate material. 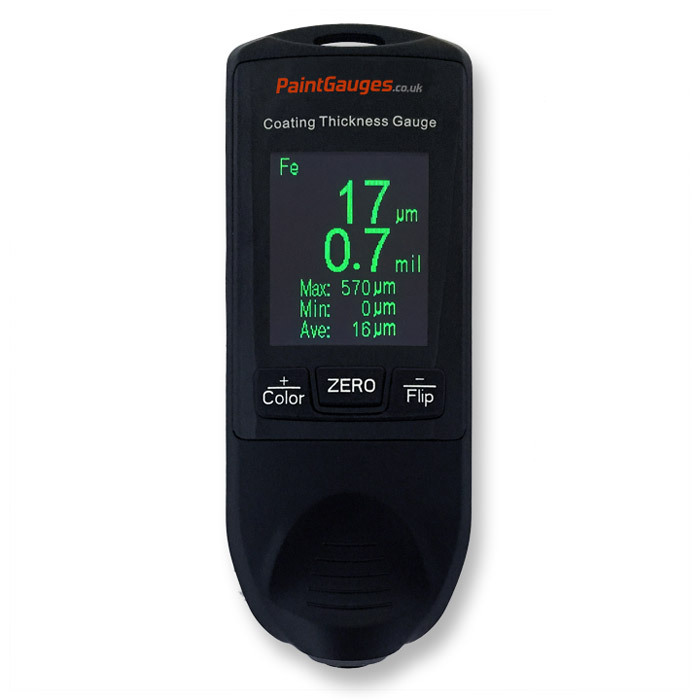 Holding the gauge at an angle such that the probe sensor is not flat against the substrate will result in erroenous and inconsistent readings. 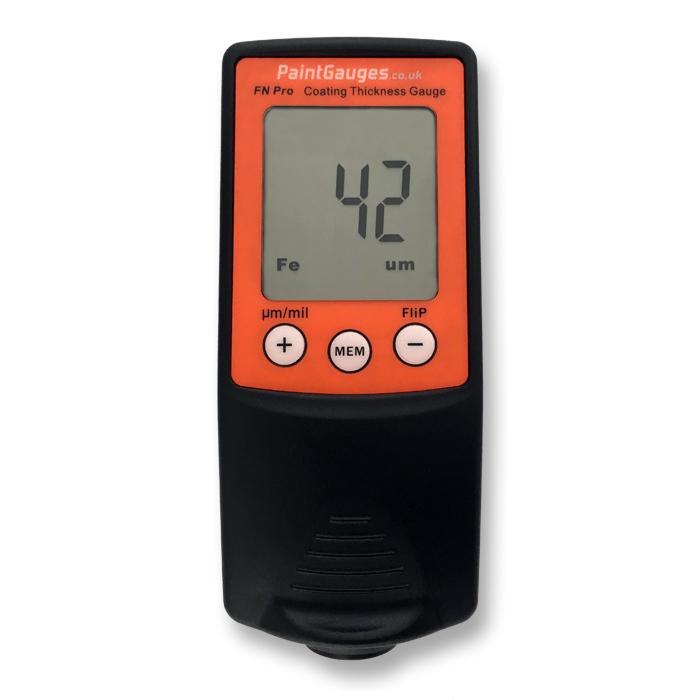 Holding the gauge near its base (on its finger grips) and with thumb and forefinger will aid in the ability to position the sensor in a stable and flat manner. Holding a gauge near its top will work against this (especially on gauges with curved bodies) and is not recommended. When taking coating thickness measurements on circular objects, alignment and stability of the probe sensor is critical. Some models of gauge (such as the FN Pro, FN Evo, FN CM, and 156 USB) have a v-shaped groove on the probe sensor surround to assist in its placement and alignment on the curvature of the sample. Do not get the gauge wet or submerge it in water. Avoid contact with wet surfaces that could damage the probe sensor. Immediately dry the probe sensor should it get wet. Do not drop the gauge or subject it to impacts. In gauges which use replaceable batteries, use only alkaline type batteries (not zinc or rechargeable types). Keep the gauge in its protective case when not in use. Most gauge models have low battery indicators on their display. If the indicator is illuminated, change the batteries before taking further readings. In gauges with replaceable batteries, use only alkaline type batteries (not zinc or rechargeable types).